located the missing girls of Government Girls Secondary School, Chibok. Director, Public Relations and Information of the NAF, Group. Capt. According to him, what was said was that the NAF had the capacity to identify possible areas where the girls might be held. wide area in the search for the girls. held captive by the insurgents. aired on Friday 12 February 2016.
at no time identified the specific location of the Chibok girls. that might have been held captives. manipulated in the arms deal and appointed new Air Officers Commanding. confirmed the woman had been released on bail. predilection to squander their earnings on guilty pleasures. Within their luxurious circuits, there is no more vulgar display of wealth; no more extravagant expenses. era when Goodluck Jonathan was President. What is the future of Yoruba Unity Forum with the demise of Mama HID Awolowo who was the rallying point? Your forum loudly complained of marginaliza­tion of the Yoruba by former President Goodluck Jonathan. to speak with one voice in the Southern Nigeria Peoples Assem­bly? Read ALSO: Governor AKINWUMI AMBODE Full Biography,Life And News. approved the appointment of new Vice Chancellors for the universities. desire to embrace amnesty and surrender arms to the Federal Government. National Petroleum Corporation, Dr. Ibe Kachikwu. not be seen as an act of cowardice but an act of patriotism. camps, Camp 5 and environs. the amnesty programme so long as the government remained sincere. from the World Bank and the African Development Bank. loan has not be responded to. all loans and revenues accruable to it. Pastor Asks church members to stretch their Phones forward and God Miraculously sends down from heaven Airtime inside for them. – This is the second marriage of the beautiful actress and mother on a 7 years old girl. 41 years old actress Monalisa Chinda had her traditional marriage introduction Friday, February 12. The bride and groom-to-be had their introduction ceremony at Monalisa’s family house in Elelenwo Port Harcourt. white wedding will take place May 2016 in Greece. first marriage crashed in 2009; she has a 7-yr-old daughter Tamar. assistant with a Toyota Corolla car as she adds another year tomorrow. she could be seen wailing on the ground. She shared photos of the present as well as a video of the moments. The Head of Presidential Anti-corruption Committee, Prof Itse Sagay, has again voiced his concern over some recent rulings of the Supreme Court on election petitions, particularly those held in Rivers and Akwa Ibom states. Sagay, who spoke with newsmen at the Olu Palace, Warri on Saturday, warned that the rulings, which allow people who were declared winners without elections in spite of copious evidences of irregularities and heavy human and material casualties, set a dangerous precedent in the history of elections. “The judgements are very perverse, particularly relating to Akwa Ibom and Rivers. Everybody knows that there were no elections in those two states. “Everybody knows that people like Wike climbed into the governorship seat over dead bodies and over bloods of human beings. There were no elections, they wrote the results; the evidence is there,” he said. “We are going to have primitive and barbaric electoral culture; ‘kill as much as you can, destroy as much as you can, create as much catastrophe, but if you can find yourself on that seat, you are confirmed, regardless of the means by which you got there’. “That is a very major setback to democracy and the rule of law,” he said. Similarly, the erudite constitutional lawyer also flayed the present crop of Supreme Court judges, insisting that they have degraded the court from decades ago when the Nigerian Supreme Court was ranked among the best in the world. At least thirty people were killed during twin raids by Boko Haram on villages in Borno State, according to local residents speaking with SaharaReporters. Early reports also say that Boko Haram terrorists raided villages for food and other necessities. At about 9:30am today Boko Haram terrorists arrived to the remote villages of Kachifa and Yakhari in utility vehicles and on bicycles, according to sources. During these attacks at least thirty people were killed and food items were carted away. A Civilian Joint Task Force (JTF) source, who spoke to SaharaReporters on phone from nearby Biu town, stated that the insurgents slaid twenty-two people in Yakhari today. Eight others were shot dead last night, according to the Civilian JTF. He noted that eight civilians in Kachifa village were murdered last night at about 10pm. The village was burned down “there is nothing standing there as I am speaking to you” he added. Yakhari village is some of 30 kilometers away from Damboa town and Kachifa is about 4 kilometers away. Senate President Bukola Saraki has made fresh moves to reach out to President Muhammadu Buhari and the National Leader of the All Progressives Congress, Asiwaju Bola Tinubu, following the Supreme Court judgment on his trial at the Code of Conduct Tribunal. The Supreme Court had on February 5 ruled that Saraki’s trial should continue at the CCT. The apex court had affirmed the propriety of Saraki’s trial at the CCT on 13 counts of false asset declaration. The CCT had on Friday said Saraki’s trial would resume on March 10. It was reliably gathered that since February 5, Saraki had been making moves to indirectly reach out to Buhari and Tinubu. A top government source, who confided in SUNDAY PUNCH, said Saraki could not reach out directly to Buhari on the matter because he knew the President’s disposition to such issues. The source, who spoke on condition of anonymity, added that the Senate President resorted to sending emissaries to Vice-President Yemi Osinbajo when Buhari was on a six-day vacation and Osinbajo was the acting President. He said, “Saraki knows the kind of person the President is and I think he won’t approach him directly on this matter. The Delta state police commissioner, Mr Alkali Baba Usman, Friday February 13, announced the arrest of six persons said to be of Hausa origin, in connection with the kidnap and gruesome murder of the traditional ruler of Ubulu-Uku, Aniocha north local government area of Delta state, Edward Akaeze Ofolue III. The traditional ruler had been forcefully abducted by men suspected to be kidnappers on January 5, and his lifeless body discovered on January 21. Usman, who broke the news of the arrest of the six suspects to journalists in Asaba, said on the evening of Tuesday, January 5, 2016, the DPO of Igbodo got a text message that the divisional patrol team was informed of an unregistered black Toyota Land Cruiser which was abandoned in a bush along Obio/Igbodo road by unknown persons. According to him, when the vehicle was recovered by the police officers, it was discovered through documents found in it, that the vehicle belongs to one Obi Akaeze Edward, the Royal Majesty of Ubulu-Uku. “In view of this revelation, the palace was contacted and it was gathered that the Obi left the palace alone in the said vehicle to Asaba earlier in the day,” the CP said, stressing that the Obi’s absent raised curiosity that he has been kidnapped. The CP went further to explain that the hoodlums opened communication using the Obi’s phone and demanded for ransom on January 6, 2016, noting that one Pastor Charles Afamefuna who was found wandering was taken to Umunede police station, where is was later confirmed that he was kidnapped together with the Obi. Suspected members of the terror group, Boko Haram have carted away over 1000 cows, 70 sheep and 40 goats in Madagali Local Government Area of Adamawa State. Eyewitness accounts stated that the not fewer than 30 rustlers who were well-armed invaded Madagali settlement at about 10 am on Friday and carted away the animals. Some of the residents of the settlements, claimed that the hoof marks of the stolen cattle were traced by locals to paths leading into the Sambisa forest, the fortress of the insurgents. The pursuing villagers said they had to turn back from the track of the rustlers when they noticed they were headed for the forest. Confirming the incident, the village head of Krichinga, Abubakar Kanuri said some rustlers invaded their homes and carted away over 1000 cows belonging to villagers. He said the rustlers were well-armed but did not hurt anyone. According to him, the matter has been reported to the military manning the area. He lamented that incident was becoming rampant in the areas and called on Federal Government to step up security in the areas. Abolusodun, who stated this in an interview with Sunday Tribune, however, said there was no uniform price for bread sellers in the region, noting that bakers in each state would determine the new prices based on market reality. Responding to a report by Sunday Tribune last week that the bakers had rolled out new prices for the South-West region, Abolusodun stated that the prices reported were only for Oyo State, adding that every other state would come up with their prices. “The truth is we are left with no choice but to increase the prices of bread, because the prices of virtually everything have increased. It is a pity that the common man will bear the brunt of all these increments, but everyone knows the position of a Naira to a dollar now. The foreign exchange will, no doubt, affect every business that depends on importation,” he said. Meanwhile, bakers in Kogi State have resolved to hike the prices of bread and other confectioneries in the state in response to high production costs. The News Agency of Nigeria (NAN) gathered that the decision was reached at a recent meeting of the state chapter of the Association of Master Bakers and Caterers in Lokoja, the state capital. The chairman of the association, Chief Gabriel Bamidele, told NAN in an interview on Saturday that as a result of the increase in the prices of baking items, his members were left with no other choice. Bamidele hinted that the bakers had been incurring losses in recent times, adding that unless there was price increase, many bakeries in the state would be forced out of business. He said that given the present situation, there was no going back on the decision as they could not afford to continue operating at a loss. THE assassination of Gen. Murtala Mohammed 40 years ago in an attempted coup was a grievous blow to Nigeria as it stopped the country’s newly found momentum. This is according to President Muhammadu Buhari who said that late Head of State who was killed 40 years ago, was on a mission to put Nigeria back on the right track and discipline. 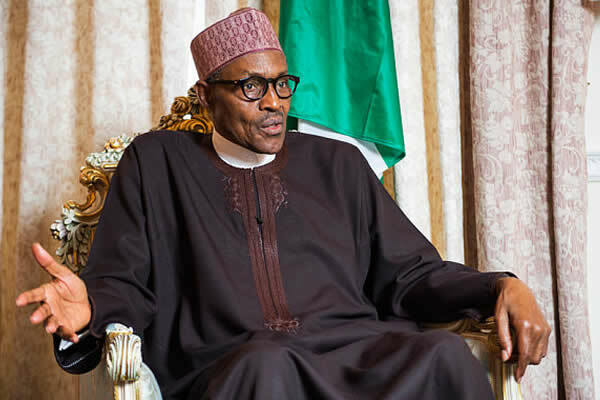 Speaking at the Murtala Mohammed 40th Memorial Lecture at the Congress Hall of the Transcorp Hilton, Abuja on Saturday, the president said: “On the 13th of February 1976, Nigeria suffered a grievous blow with the assassination of Murtala Muhammad in a failed coup d’état. “The country mourned, and rightly so, because Murtala had been on his way to putting Nigeria back to the path of order and discipline, after years of drift, corruption and near despair. It would not be over-stating the case to say that Nigeria lost its newly-found momentum with Murtala’s demise. “General Murtala’s story has been told over and over again in the last forty years. So I will not repeat what has been related many times before. “Suffice to say that his mother brought him up, and, through her efforts, paid expenses for his education and general welfare. In turn, Murtala repaid her by his exemplary performance in school, in military training, in war, in peace and in government. The Overseer of The Redeemed Christian Church of God, RCCG, Pastor Enoch Adejare Adeboye has called on Nigerians in leadership positions at different levels to imbibe the fear of God and depend absolutely on Him for the country’s economy to witness a divine turnaround. Addressing leaders in government as well as business executives at a special prayer session for the nation’s economy at the church’s national headquarters in Ebute-Metta, Lagos, Pastor Adeboye averred that Nigeria would move from a prostrate economy to witness a flood of abundance if those managing the nation’s economy as well as business owners will be righteous in their dealings and let God be their source. He argued that God has the power to transform a period of famine to that of plenty within 24 hours, pointing out that “what we call minimum wage in Nigeria is not enough to meet the needs of the workers but with the power of Almighty God, things will turn around for good in Nigeria. If we are to move from not enough to flood of abundance, we must fear God, draw closer to God, honour Him, seek Him in whatever we do. The Bible says that the fear of God is the beginning of wisdom.” Speaking on the thme; “Flood of abundance”, he emphasized the need for all Nigerians to give God priority attention in everything we do by serving Him with all our hearts and give to Him those things He demands from us for Him to bless us; like paying our tithes and honouring God with our first fruits. – Daniel’s new property is located in the highbrow area of the Federal Capital City. G-Worldwide Entertainment artiste, Kiss Daniel now a complimentary plot of land worth N50 million. The fast rising star whose real name is Anidugbe Oluwatobiloba Daniel is one of top celebrities in Nigeria who have been allotted plots of land in recognition of their success in the entertainment industry. It is an initiative of a former board chairman of lands and housing, Ondo state, Dr Akin Olowookere, in order in association with the Federal Ministry of Lands, Housing & Urban Development. According to reports, the land gift is an attempt to encourage the creativity of Nigerian entertainers. Nigerian pop star, Wizkid and Jamaican star, Sean Paul are the headlining acts for this year’s ‘USA Sevens Rugby’ weekend in Las Vegas between March 4 – 6, 2016. The USA Sevens is an annual 3-day Rugby tournament that holds in Las Vegas with teams from 16 countries. Wizkid and Sean Paul will be joined by other acts like Walshy Fire, Fully Focus, Babey Drew, Simple Simon, Mix Master David and others. 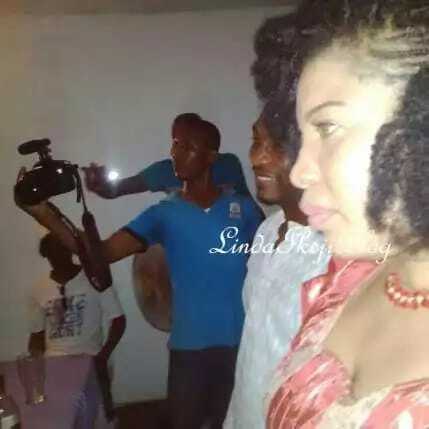 Toyin Aimakhu has finally shown off her new lover Seun Egbegbe and openly gushed about how much he means to her. Here’s what the actress shared on her IG page at about 1am today. She also shared a second message that talked about her walking away from drama and people that created it. Her estranged husband Adeniyi Johnson allegedly cheated on her. Toyin is excited she was able to walk away from that drama. and fines in South Africa alone. to R10 000 or a jail term, per infringement.